Railpictures.ca - Bill Hooper Photo: Royal Hudson 2829 on train 5, the mail and Express, which ran as a section of the “Dominion” pauses at Virden before entering single track. | Railpictures.ca – Canadian Railway Photography – photographie ferroviaire Canadienne. 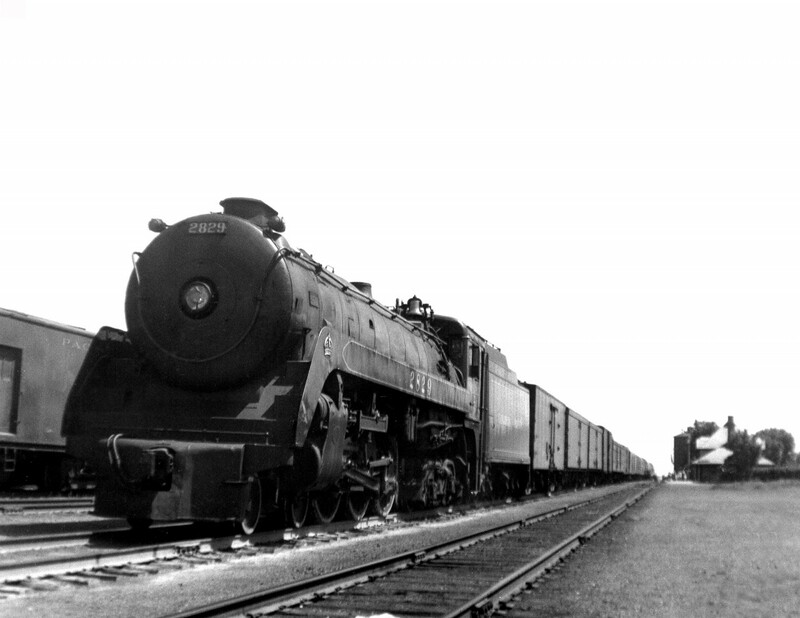 Caption: Royal Hudson 2829 on train 5, the mail and Express, which ran as a section of the "Dominion" pauses at Virden before entering single track. One of the rare streamline designs that just looked good from the start.